Gloucester Rugby can today confirm that club captain Greig Laidlaw is to leave Kingsholm at the end of the current season. 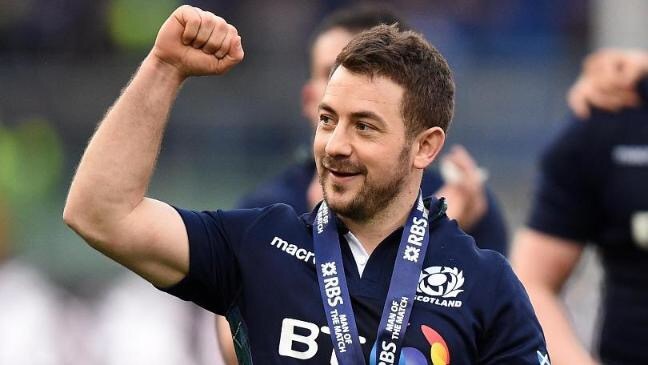 The 31-year-old scrum half who is currently captain of Scotland and who has won 53 caps for his country, is currently in his third season in the Cherry and White of Gloucester. Having moved south from Edinburgh in the summer of 2014, he is closing in on 50 competitive appearances and 500 points. One particular highlight, of course, was his contribution to the club lifting the European Rugby Challenge Cup in 2014-15. His current contract with Gloucester expires at the end of the 2016-17 season and he will now continue his career overseas as he confirmed to the club website today.